As of Wednesday, the Army Corps of Engineers reports the lake’s elevation at 658.97 feet msl (normal conservation pool – 659 msl). (updated 3-9-2016) Sportsman’s White River Resort (870-453-2424) said the water has a green tint to it and has been back to normal level with three generators going, but that may change with the rain. 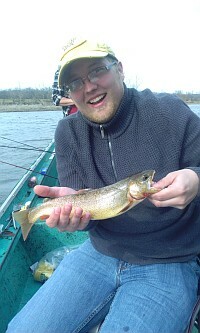 Trout have been excellent on stick baits, Power Baits, minnows and jigs. As of Wednesday, the Army Corps of Engineers reports the lake’s elevation at 553.98 feet msl (normal conservation pool: September-April – 553.75 msl, April-September – 556.75 msl). (updated 3-9-2016) Tom Reynolds of STR Outfitters said stripers are moving up the creeks because the warm winter weather has produced warmer than normal water temperatures for this time of year. I have registered 52 to 55 degree water the last few days. The shad have migrated all the way up the creeks as well. I have been catching large threadfin shad in 3 feet of water and gizzard shad on the banks. Crappie and white bass are already in the creeks. The white bass are spawning and the crappie are active feeding around brush in very shallow water. Walleye are being caught from Calamity Beach to Udall along with white bass. 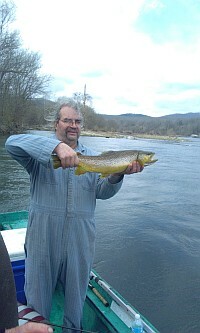 This March will be awesome fishing both day and night, so get your boat ready and hit the water. There are massive amounts of shad schooling from Fouts Boat Dock to 6B. Find the bait and you will find the stripers. Lots of big fish have been caught the last year. The biggest was a 48 pounder. A lot of 20-pound fish have been caught as well. Shiners are also working. I have switched to no weight and/or split shots with balloons and planner boards. The spring bites have begun earlier than what you might expect. With the higher lake levels, the water has not cooled to its normal temperature, which means the lake is warming earlier. We should see a good topwater and night bite begin in the first and mid parts of March.